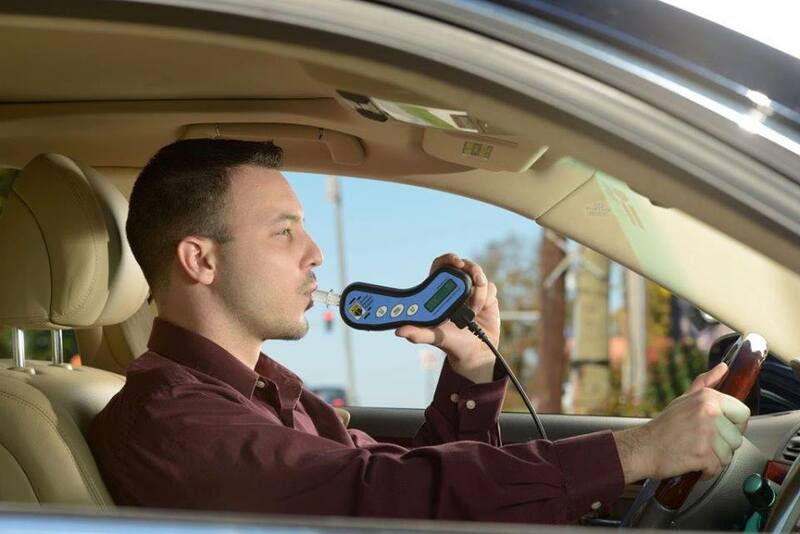 What Happens If You Fail Your Ignition Interlock Breath Test? Prevention of alcohol and drug-related accidents should be a primary priority of any governing body. Millions of people have lost their lives due to road accidents caused by alcohol and it needs to be stopped. According to a research report, it has been stated that 50-60% of accidents have happened just because of the drinking and driving. There are laws for it, but people still drive while drunk and it is a concern that requires thorough attention. There are many devices available in the market to ensure that no casualties and accidents occur in such scenarios. Once you receive a driving under the influence (DUI) conviction, Your chances to get jail punishment increase or you need to pay high fees and maybe you lose your drivers license. If you want to make your life easier you may want to contact ignition interlock service providers in your area. An ignition interlock is a device which prevents a vehicle from starting if the driver is under the alcohol influence higher than normal levels. Why You Fail Ignition Interlock Device Test? You can fail an ignition interlock device breath test for one of the several reasons. It might be that you used an alcohol-based mouthwash, or it might also be that you were drinking the night before, and there is some residual alcohol in your blood system. When You Fail Ignition Interlock Device Test? The Initial Test: Performed when you start the car. If you fail the initial test, your vehicle will not start. You must wait a pre-decided time which is called the lockout period. Of course, if you were drinking prior to your initial test, you should not drive. Wait until you are fully sober. The Second Test is Rolling Re-Test: Which is done a few minutes after you begin driving. If you fail while driving, you are required to pull over and shut off the ignition. In case if you fail this time that you need to take IID to a service center to have it reset because it has gone into early service recall mode. Overall, nothing will be happening in case you fail in both the tests. It will only keep you off the road. If you have concerns about your ignition interlock device, it is better to visit Adsofalaska for proper guidance and IID services. You must have heard about road accidents due to alcoholic drivers and it is not something that we can ignore. Millions of people have lost their lives due to road accidents caused by alcohol and it needs to be stopped. According to a research report, it has been stated that 50-60% cases of accidents are happened just cause of the drink and driving. There are laws for it, but people still drive while drunk and it is a concern that requires thoroughly attention. Life is no doubt a precious thing and it should not be taken lightly. There are many devices available to ensure that no casualties and accidents occur in such scenarios. One such device that has garnered reputation is the alcohol interlock device. This helps to prevent a person from alcohol-related facilities and other road injuries. Advanced and adaptable interlock device not just helps to keep you away from any injuries but according to the research, it is one of the most effective tools which help to decrease the level of road accidents and injuries. In spite of this, it is one of the user-friendly smart devices that are easy to handle without any burden or hurdles. Another thing that makes this device rare is its reliability as it is among the series of them who are easily reachable and acceptable without any expensive or cost extravagant. But this is not the end, there are also some of the beneficial factors which make this alcohol interlock device impressive and reputable. Rest of this, it is the best choice that helps to keep you away and safe from any suspended license or illegal driving. Plus it is also the best choice for those who drive recklessly. In short, last but not the lease, in a sum up way, if the interlock device is still not in your car or vehicle then install it on the earlier basis and make your life safe and secure. As this not just helps to make your life in a safe zone but also decrease the level of incidents and keep you away from any counter-measure curb as well. Want to Drive While Drunk? Alcohol Detection System may Not Allow. As per the guidelines which are rolled out by the US Department of Transportation, drunk & driving kills almost 10,000 people every year. The government of US is communicating heavily on the issue with the help of educating guidelines, strict rules and awareness. Following this flair, the market is offering innumerable breath detectors to find the quantity of alcohol in the blood. With the previous version of these detectors, the driver can still choose to drive after crossing the limit of legal guidelines. This means, you can choose, if you wish to drive and not to drive, even if you saw the danger flag ahead. For an increased safety, the US government has decided to fully shut down the vehicle, if alcohol in blood gets detected. Surprisingly, this massive change, could actually reduce drunk and driving deaths. The US government is taking stern steps to surpass the drunk driving on streets. NHTSA has entered into a partnership with the ACT (Automotive Coalition for Traffic Safety) to offer a concrete solution to this. The advanced technological solution is called ADS (alcohol detection systems). The chief motive is to completely eradicate the scope of drunk and driving. 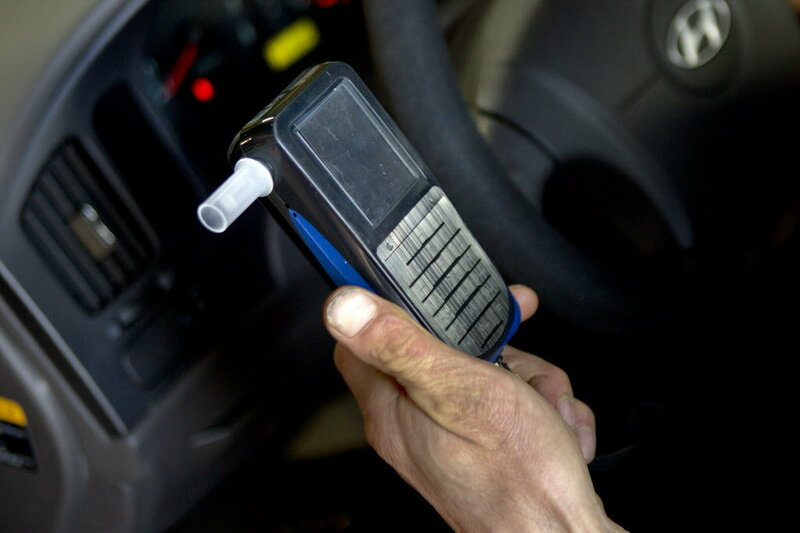 With ADS (alcohol detection systems), if the blood contains more alcohol than a legal bar of 0.08 percent, then the vehicle can not be driven. Here, the key detector is BAC (Blood Alcohol Concentration) of the driver. With the help of technology, car’s autonomous emergency braking will be operated automatically. This works like an advanced safety system to stop you from taking a decision against your protection. The technological system of ADS Alcohol Detection Systems is divided into two major parts. One of them is detecting by breath and other is detecting through hand touch. Once, you touch the start button or steering wheel, it will take the reading. ADS (Alcohol Detection System) is a rapid way to install and the simplest to use. A robust system to act as a life-guard. If your vehicle is registered from someone else’s name, then you must possess a notary letter to get the device installed. This is more like a letter of permission from the real owner of the vehicle. You can always find a device is compatible with the heat and environment of your area. Researches are highly favouring this system. As per the reports, in the coming 10 years, the system like ADS can restrain over 40,000 deaths. Also, thousands of injuries and accident costs can be handled. Drunk driving cases and lethal accidents in your area have always been a point to argue and discuss for your local newspapers or news channels. However, if you have paid some attention, you might have heard the terms being mentioned as an ignition interlock installation. It is a system that measures your BAC – Blood Alcohol Concentration when you provide a breath sample. The device is designed in a way that prevents your car from starting the engine if you fail the test of your car breathalyzer. So, if the device finds alcohol more than the limit law enforcement has declared, the car engine would not start and you can not drink and drive. Although news articles have mentioned it several times that how an alcohol detection system can save lives of a driver, passengers, and pedestrians, many people are under the false impression of defeating it. Especially teenagers, who think that it is easy to bypass the interlock device are not right with the thought. This seems really easy to perform but it is not. The alcohol detection system has a feature named “rolling retest” which asks you to provide your breath samples while you are driving. So, you would need to blow a few times on a regular interval after you start driving and while you are on the road. If it detects the alcohol, the system might ask you to stop the car, the light might flash and the horn might honk as well. The device notifies you to find a safe spot and stop your vehicle. Many individuals try to trick the device with a friend’s help. The car might get started too but what to do when ‘rolling retest’ appears? Plus, the advanced interlock ignition devices feature a camera that records the face and sends data to the authorities. Can you see the trouble coming? Another such idea of blowing a balloon air with someone else’s breath is also a bad idea. You can not keep sober breath samples and use it to car breathalyzer when you are drunk. The alcohol detection system is smart and might ask you to ‘hum’ or inhale to prove it. So you better be aware of that and drop the idea before getting drunk. Along with the points mentioned above, removal of the interlock system by yourself is also not acceptable. First thing, removing device needs some specialization and can be done by an experienced technician only. Second thing, the data registers the attempt of removal or the removal. It is better to consult experts of a reputed service provider such as Adsofalaska.com for ignition interlock device installation and removal. Keep checking out Blog – Alcohol Detection Services of Alaska for new promotions like our current one – from now until the 31st of October you can get $50 off your ignition interlock device install! Just mention our October Promotion post when you call in or fill out the contact form. It helps to get a little help during a difficult process such as a DUI, we at Alcohol Detection Services of Alaska try to make sure you’re prepared for getting your restricted license after your install and your unrestricted license when it’s ready to be removed, though we are not the DMV and have no power of persuasion over them we can get the date your service will end and the walk you through the process before you have to face the DMV.